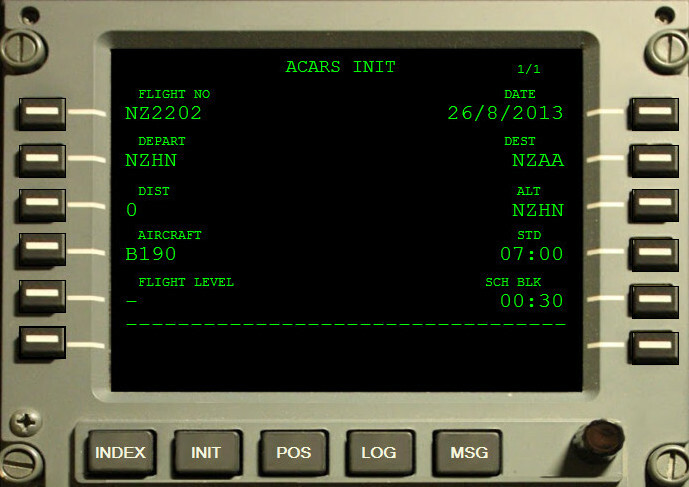 In real world aviation ACARS (an acronym for Aircraft Communications Addressing and Reporting System) is a digital datalink system for transmission of short messages between aircraft and ground stations via airband radio or satellite. In flight-sim terms it typically refers to client software that pilots in Virtual Airlines use to log active flights details (progress, position, aircraft state etc) and send that information to a back-end database. Our ACARS client was built in-house in 2013 and following an extensive Beta testing period went into production in December of that year. Our staff use it to log flights they have booked or are assigned through our rostering service, and the data logged is then available for their own reference and for training and HR purposes. Our ranking system is based on the number of hours flown by pilots. The ACARS client is a tool used to further staff through to higher ranks and additional aircraft clearances as they accumulate hours. For more info see our Ranks and Operations manual pages.